Expect a warm and friendly welcome, comfortable accommodation and pleasantly relaxing surroundings including a private courtyard. 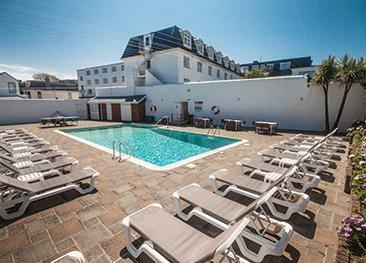 Guests at Villa Nova also benefit from the use of all the facilities at the Norfolk Hotel’s including the outdoor swimming pool - a real bonus in the summer. 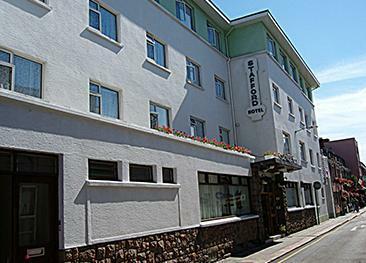 All rooms are en-suite with a choice of single, double, twin and family rooms. All rooms feature a television, tea/coffee facilities and hairdryer. The Villa Nova bar always offers a friendly atmosphere. Dinner is available every evening at the sister hotel, the Norfolk, a few minutes’ walk away. The Villa Nova is not suitable for anyone with reduced mobility. The Villa Nova is in a convenient location close to the town centre as well as to the beachfront at Havre des Pas, and only a short distance to many of St Helier’s attractions including the pleasant Howard Davis Park. Nice comfortable and clean guesthouse. Staff polite. Nice breakfast. 10 mins walk into St. Helier shops. We had a lovely stay. I think we were perhaps lucky as we were given a large family room just for the two of us. A 6 foot bed and a single. Lots of space. Very clean with friendly staff. Brilliant value for money. find nothing wrong with the hotel.I would come back again. Very good. We would go back. Staff very helpful and friendly. Willing to help in any way. Friendly staff, good location, very clean. 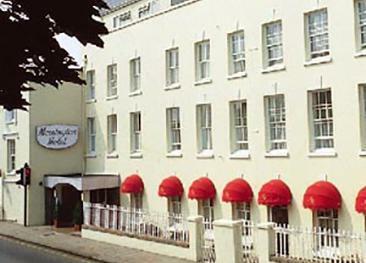 In the same capable hands for the last 50 years, the Mornington is a classic, traditional and well-run budget hotel offering comfortable accommodation a stone's throw away from St Helier’s town centre.